Opting for a health insurance plan has become a necessity. With rising medical costs, making out-of-pocket expenses is a huge financial burden. If you do not have an accumulated corpus, you may have to borrow funds from a financial institution or your friends and family. This is where a health insurance plan comes in handy. Such a policy offers numerous benefits and allows you to focus on your recovery instead of worrying about finances. One of the greatest benefits of a mediclaim policy is the tax benefit it has to offer. According to Section 80D of the Income Tax Act, 1961, the premiums paid towards the policy are deductible from your taxable income. While individuals may claim tax benefit of up to INR 15,000, senior citizens may avail of tax benefits up to INR 20,000. You may, therefore, avail a maximum deduction of up to INR 35,000 from your taxable income. Although you may enjoy tax benefits, it is important to note that health insurance policies offer greater benefits. Following are four major advantages of investing in a health insurance plan. Insurance providers offer financial coverage against numerous hospitalization expenses, including in-patient care costs, surgery costs, alternative treatment expenses and domiciliary hospitalization expenses, among others. The financial burden of meeting exorbitant medical expenses is, therefore, reduced. Most health plans offer the option of top-ups. Such top-ups, also known as riders, enhance your overall insurance coverage. You may select the rider based on your needs. For example, you may opt for a critical illness policy rider over and above your existing health plan in order to cover life-threatening diseases such as cancer, kidney failure, and third-degree burns, among others. Many insurance providers offer the benefit of cashless hospitalization services. This means, the insurance provider settles the medical bills directly with the hospital. You do not have to worry about making cash arrangements in case of a medical emergency. If you chose to buy medical insurance during the later stages of life, it may become difficult to obtain an approval on your application. However, healthcare plans come with an option of renewal up to a high age limit. A policy renewal feature, therefore, allows you to enjoy the benefits of your insurance policy even when you reach a higher age limit. 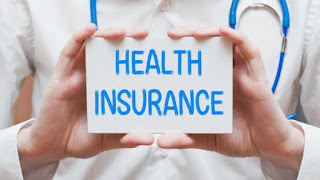 Thus, a health insurance plan offers several advantages, besides providing tax benefits. So, instead of only focusing on tax deductions, you may avail of a health insurance to enjoy all the benefits and have peace of mind knowing that you are covered at all times.